Elon Musk’s plans to build an underground express system for Chicago are super vague and people are mad about it. The Illinois-based Better Government Association (BGA) announced in a report yesterday that it’s filed a lawsuit against the city to release public records behind its $1 billion deal with the Tesla CEO. In June, Mayor Rahm Emanuel and Musk unveiled their grand vision to create a tunnel that would allow commuters to traverse 15 miles from the Loop in downtown Chicago to O’Hare International Airport in just 12 minutes. Musk promised to use untested digging equipment to build it and to introduce the new electric rail system in as little as 18 months. But that’s pretty much all that’s been publicly revealed about it. The BGA argued that the secrecy behind the proposal’s logistics goes against the statutes of public policy that require such developments to solve clear problems in a clear way before receiving approval or funding. 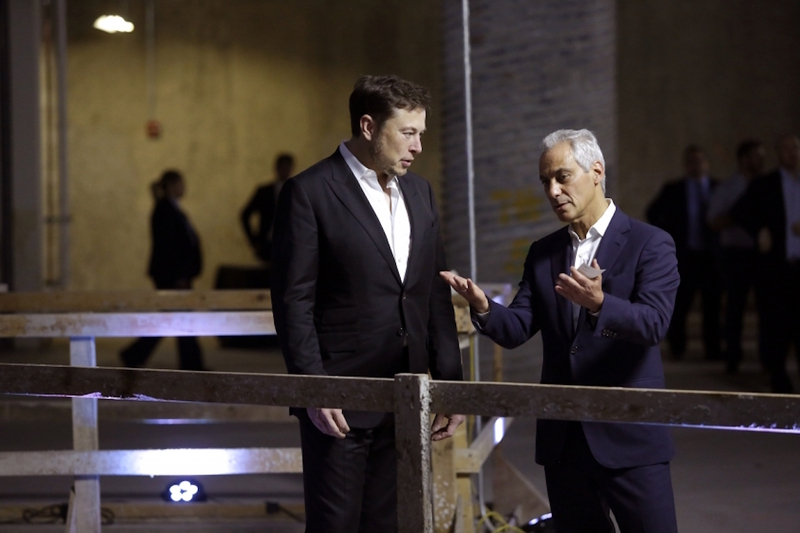 The watchdog organization reached out to the Emanuel administration to obtain public records detailing the meetings between the mayor and Musk, but the city simply claimed the initial discussions on the project were “pre-decisional.” This means no firm deal has been struck between the two parties even though the plan went public this summer. The BGA also pointed out that Musk has already completed a short tunnel project beneath Los Angeles’s Hawthorne neighborhood, but used conventional sewer drilling technology to make it, not the as-promised, untested tech. Musk claims that he can begin construction on the Chicago tunnel by the end of this year and complete it quickly thanks to the new (non-existent) digging equipment. But the head of the Chicago Infrastructure Trust, which green-lighted the project according to the BGA, said a more realistic construction time is four years. Even so, major infrastructure projects generally take a decade or more to finish (see: New York’s Second Avenue Subway) and Chicago has already spent over $250 million under former Mayor Richard M. Daley on a failed plan to complete an underground superstation on the way to the airport. Improving upon the 45-minute commute via rail from the Loop to O’Hare is a top priority for the city, but no real plans from Musk or the mayor have been outlined as of late for locals to review. If the BGA’s lawsuit moves forward, Chicagoans could get a peek at the plans sooner rather than later.